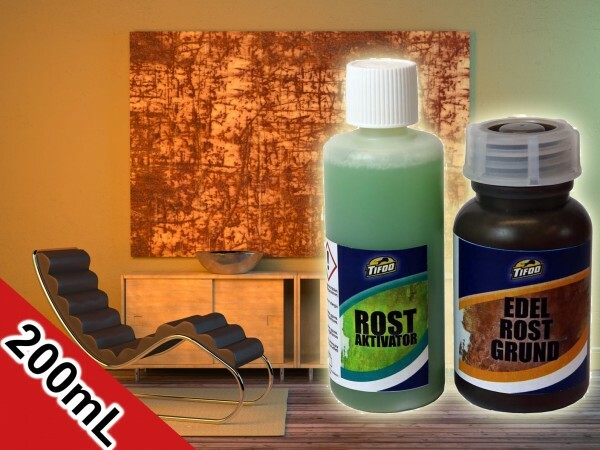 Product information "Rust look set (2 x 100 ml)"
Don't let your DIY mindset get rusty - better do that with your project! By using our reliable "rust look colour" set consisting of two components, the "rust patina primer" and "rust activator" (which accelerates the rusting), you will have impressive rust effects. The "used look" is en vogue, not only for fashion and music instruments, but also for interior design. Furniture, doors and also ornaments can be provided with artificial rust. The warm red shades of real rust layers can be created inseconds. You can now imitate the rust look on almost any background. The rust look colour can be used for interior design, from shabby chic and industrial style to steam punk projects. You can achieve seemingly real rust surface structures in only a few hours. Priming by brushing on the desired surface with "rust patina primer"
Related links to "Rust look set (2 x 100 ml)"
Instruction manual for Tifoo Rust look set (2 x 100 ml) as PDF file. 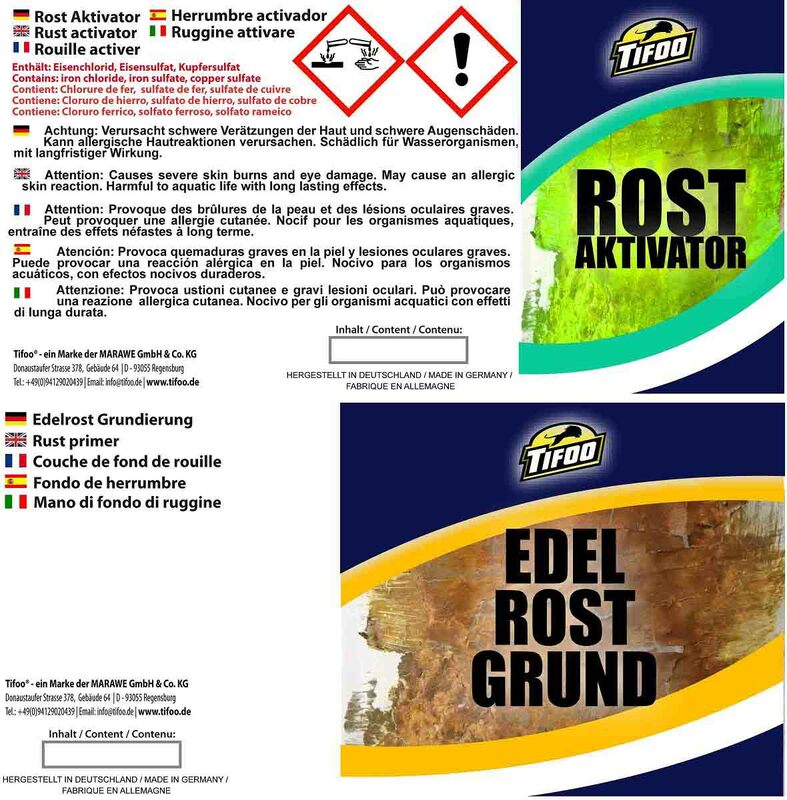 Customer evaluation for "Rust look set (2 x 100 ml)"